Baseball Hitting Tips For Youth: Can We Teach One Swing To ALL Hitters? Sick of struggling to reduce your hitters ground balls, swing and miss strikeouts, and non-productive weak fly balls? This simple 4-Step online video mini-course (7-modules total) will help hitters weighing less than 100-pounds, barrel the ball more consistently. Dramatically decrease ground balls, strikeouts, and weak fly balls (no matter the pitch location or speed) by applying human movement rules validated by science. 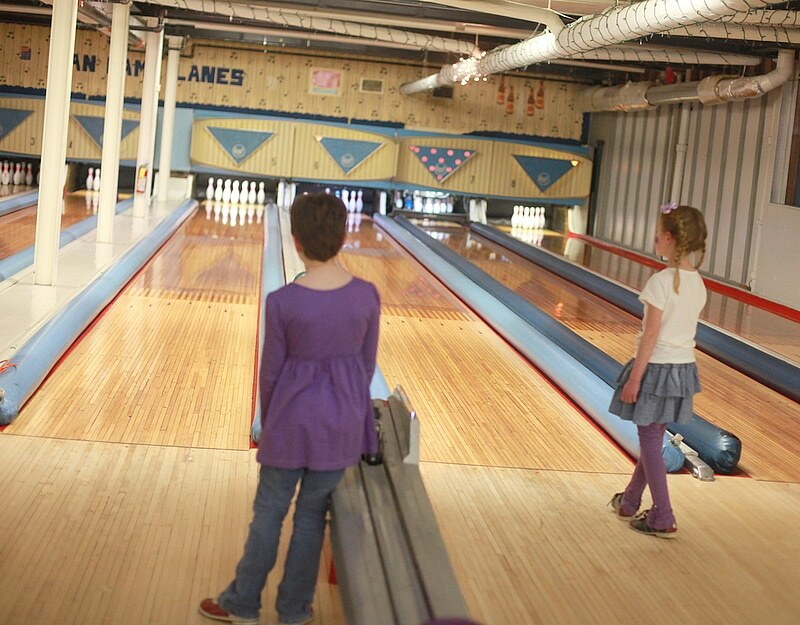 Talk about how Principles are like bowling “bumpers”. Is there truly a ‘one-swing-fits-all’ baseball hitting tips for youth hitting approach? Most baseball or softball hitting savants will tell you that you can’t mold every hitter into cookie cutter mechanics. Look, I know this will piss some people off. And it may sound like I’m setting the hitting community back 4-decades for saying it. 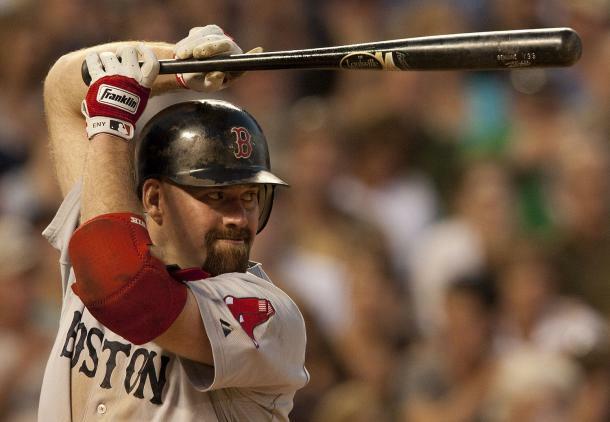 The patented Kevin Youkilis dainty hand grip position pre-swing (pictured above). Like Tony Robbins always says, success leaves clues. And there are certain players that dominate the Pitch-Plane, like I covered in this Joey Votto baseball swing slow motion analysis video. What are the baseball hitting tips for youth clues hitters like Joey Votto are leaving behind for us to model? Or better yet, what natural forces on the planet empower him to be such a tough out, while also hitting the ball consistently harder than others? A ‘one-swing-fits-all’ hitting approach has to do with, “The man who grasps principles can successfully select his own methods”. Think of ‘methods’ as the hitting drill or movement being practiced. And the ‘principle’ as the objective that that hitting drill is based upon. What baseball hitting tips for youth principles govern human movement, are validated by science, and are clues that are left behind by hitters, like Joey Votto, who effectively dominate the Pitch-Plane? Think of these baseball hitting tips for youth human movement principles, or “rules”, as bowling bumpers. Whenever we teach a ‘one-swing-fits-all’ approach, be careful that you’re not to mess with a hitter’s style. HOWEVER, what does NEED to be analyzed is whether the hitter is using the myriad of principles mentioned above. These are the “bumpers”. We need to know whether Johnny or Sally are applying Ground Reaction Forces (or GRF’s) properly. Are they loading and unloading their body correctly? Are they using rotation and anti-rotation forces effectively? 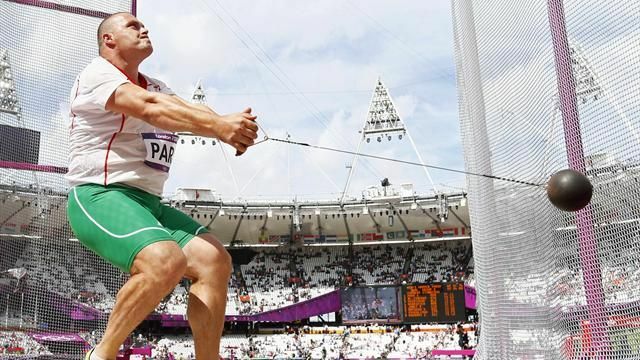 Are they moving their spine in a way that’s safe, but also optimizes the body’s energy transfer? This is where I believe in a ‘One-Swing-Fits-All’ hitters. It has NOTHING to do with a hitter’s style, and MORE to do with a hitter’s use of naturally occurring forces on the planet. If you aren’t teaching the swing between these ‘bumpers’, then you’ll be left far behind. And most certainly will your hitters. "I WANT For Coaches To: Spread Info Without Need To Attack Others In Their Teach..."
Aluminum Bats: Easton Mako Torq MISSED The Mark? I am surprised that there are no comments. Spewing such heresy should have drawn the ire of those who stubbornly adhere to hearsay. But you are absolutely correct. Hitters must conform to the universal laws of human movement science. This may be your best article ever and I just wanted you to know that it hasn’t totally fallen on deaf ears. Thanks Joe!! The silence can be good or bad…either I’m highly off the mark, or EVERYONE agrees with me 😛 Thanks for the kind words Joe! Joe, I’m going to be shooting a drill soon and posting it where we wind frog tape around the barrel of the bat in a way that gives the hitter three different spots to make contact with the ball. Coupled with the use of external cues, like hit the ball to the left side of the cage (or center or right side). You tell the hitter to hit the ball on the inside most tape (or middle or outer-most), and then to a specific area of the cage. It takes two external cues, allows the brain to execute without minute details. Basically, the mechanics take care of themselves. Promotes barrel control and building a depth margin for error. Hard to explain in writing…I’ll share on video soon. Much better than telling a hitter to “keep hands inside the ball”. This is still the best post you have done, though you have done some great ones. Had this very discussion with a coach who maintained that there are many philosophies and mechanical systems of hitting, that everyone had their own and there was no uniformity or universal method. Your article is reassuring. Thanks Joe. Yes, people treat how to teach hitting the most complicated thing because of the many different sects of swing guru’s. It’s not complicated. The standard we ALL need to stick to is human movement principles that are validated by science…from body workers like Thomas Myers, Physicist like Dr. Serge Gracovetsky, and forward thinking PT’s like Dr. Kelly Starrett. They hold the standard hitting ‘keys’ to unlock the rules. Found the article. You have to ask, which of the above stated does Stanton not employ – conservation of spinal engine, angular momentum, centripetal force, any others? As I said, I’m not disagreeing with you and I meant no offense. I know you did that article. I believe there are universal principles that apply to all hitters, one of which is the separation between the upper and lower halves creating torque, which has been said to be the source of batspeed. However, you get guys like Stanton and his closed stance that take that separation out of the equation. Jose Altuve is another one. You get these guys out there who refute the principles you set with what they are doing, ones you and I both believe in. Byron Buxton of the Twins has gone to a no-stride swing under the tutelage of his manager, Paul Molitor, whose no stride swing landed him in the HOF. But, whatever happened to linear momentum as one of those human movement principles? Yes, I agree in those bumpers/boundaries you discussed but what we see is uniformity giving way to relativism, to each his own or whatever floats your boat. That’s until they run into Max Scherzer. ?